Watch and listen as colorful rainbow rods inside the transparent vinyl balls create an audible sound that makes them great for tracking and grabbing attention! 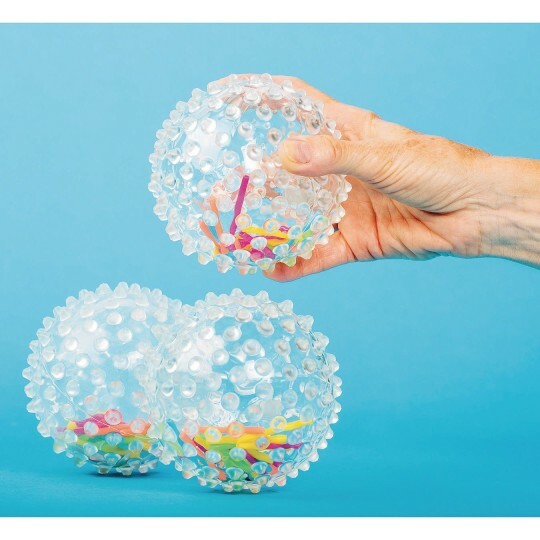 These balls also feature a soft-spike surface that’s great for gentle massage, tactile feel, and easier gripping. Inflated balls measure 4-1/2” diameter. Please note that these balls come deflated and can easily be inflated using a common basketball inflation needle and pump.